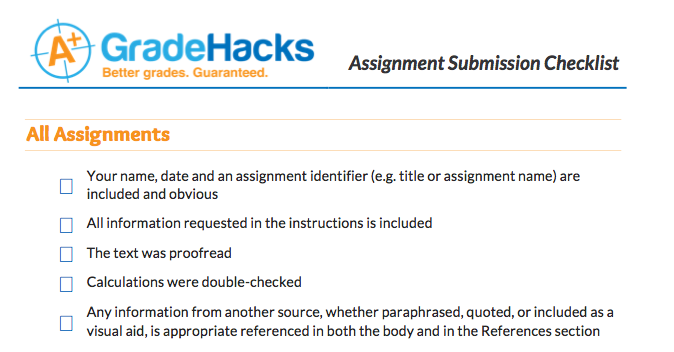 Never lose marks to careless submission mistakes or misreading instructions again. Happier reviewers mean better grades. This resource is included in the free Grade Hacks program! Sign up now. It’s free! 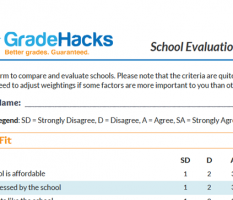 Quickly compare and evaluate schools with this survey-style form. In this first lesson, we’ll introduce you to what Grade Hacks is and how to use it. Improve your writing and cut the time it takes with simple tips. 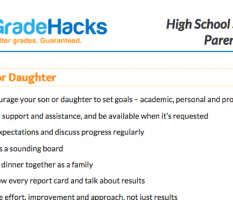 Give your parents the tools to help you succeed in your high school career.